One of the unique benefits of membership in the Toptal network is the opportunity to meet and network with world-class colleagues. Join your fellow Toptalers for coffee and coworking, November 16th starting at 12:00PM. Whether you just stop by to say hi or stay for the whole day, you’re sure to make an interesting connection. 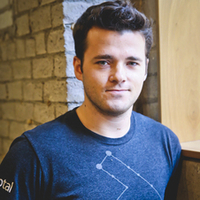 The event will be hosted by Ethan Brooks, Toptal’s North America Community Lead. Feel free to bring a guest who would enjoy connecting with elite experts or learning more about how senior-level professionals operate in the freelance market. Please RSVP here to give us an accurate headcount. For any questions regarding the event, please contact Ethan using the form on this page.